NEWS: KISS To Perform At Stadium Series In L.A.
What can really be said about 2013? It was a year full of countless amazing records and probably double that in disappointments and musical atrocities. Despite all the crap we all put up with this year, it’s finally over! So here’s to all the amazing musicians that still put out records for the ever impatient hordes of listeners, specifically those fine music nerds in my personal favorite sub-genre that is technical death metal, or just tech-death since we’re all lazy. Despite this genre being watered down, like everything else unfortunately, we here at Metal Wani sifted through all the garbage to find the diamonds in the rough, the real standouts amidst the masses, to bring you our top tech-death albums of 2013. All cynicism aside, there are some truly incredible musicians out there that deserve far more praise than they’re getting. Also, before you throw a tantrum because your favorite band didn’t make the cut, keep in mind, for every record I commend, there are probably a dozen that I missed. Unfortunately, not many bands of our lovely sub-genre get picked up by major labels to distribute and promote their records heavily. Not to say this is an entirely bad thing seeing as I love the bands that say f*ck it, we’ll do it ourselves and record their own album to release on their own dime. The only issue this creates is it makes it harder (albeit not impossible thanks to the glorious internets) to find these magnificent compositions. As many records as I found myself blown away by, I decided there are at least these five that you absolutely have to listen to or you’re doing something completely wrong. I’ll keep my rants on each record to a minimum simply because the moral of this story is go listen to these records. I can try and illustrate how incredible each record is till I come off this caffeinated rage in a few days, but that will leave us still far to close to where we started in the first place. So if you can take away anything from this little article, it should be that I have a horrible problem with caffeine and that these records need to be in your music library, now. 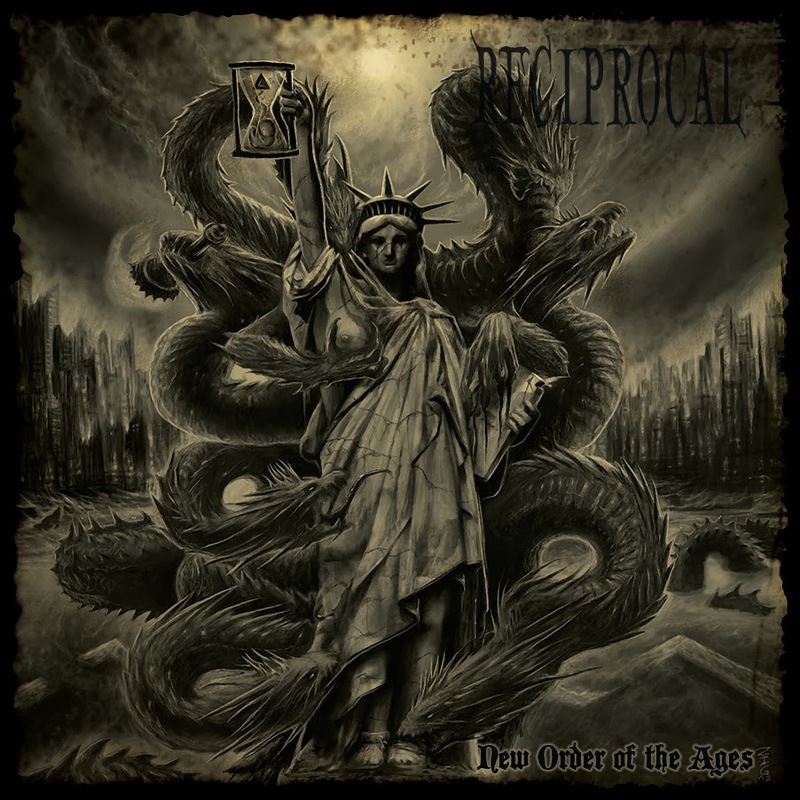 Amidst the chaos and disorder of modern life stands the band Reciprocal. An absolute powerhouse of a band that consistently blows my mind, New Order of The Ages is a tremendous record that raises the bar for the genre as a whole. To those that don’t know, Brain Drill has had a massive influence on myself, and you can certainly tell Jeff Hughell has a serious role to play with Reciprocal. The groove laden riffs interwoven with Jeff’s almost signature tapping lines create an incredibly intense listening experience. In between tracks you can also get your fill of political ravings and conspiracy theories! I actually really like that they include all the sound bytes. It adds a strange element to the mix that breaks things up rather well while still building up the musical elements of the record. You see sound bytes on intro tracks to albums and live performances all the time but rarely do you see them mixed in with the actual tracks once the record gets going. All in all, New Order of The Ages comes together to be a wickedly heavy album that holds a really unique place in the grand scheme of the musical world. Normally, an EP wouldn’t make my lists because they’re simply too short to stand up against full length records, save maybe some grind records, but that’s beside the point. However, there is always an exception to the rule, this would be that exception! I was so thoroughly impressed with Inquisition from the first song that I then spent the rest of the day listening to it on repeat. It’s only a four song EP so that is a lot of listening time per song if you think about it. Every fleeting minute of the record you’re being held witness to this brilliant display of musicianship that balances super meaty riffs with these intricate, complex solos that aren’t obnoxiously over done. These are guys to watch, I’m feeling big things from Cognizance. This band was introduced to me via a few different friends casually mentioning them in conversation. After listening to them, I’m fairly upset at how they went about it now. This is a band that you tell everyone about, that you blast in the car with your friends and make them understand how unrelentingly huge these guys sound. It’s like a non-stop, blast beat driven, roller-coaster from hell sent by the gods. Imagine being repeatedly smashed in the head with a hypothetical sledgehammer and then turning around and asking for more because it felt so damn good. That’s how this record feels. The entire length of the 8 songs is just a chaotic hell storm orchestrated so beautifully it defies logic. The avant-garde canadian lords of death metal have returned! With this record I think Luc sealed Gorguts’ reputation as a truly legendary band. 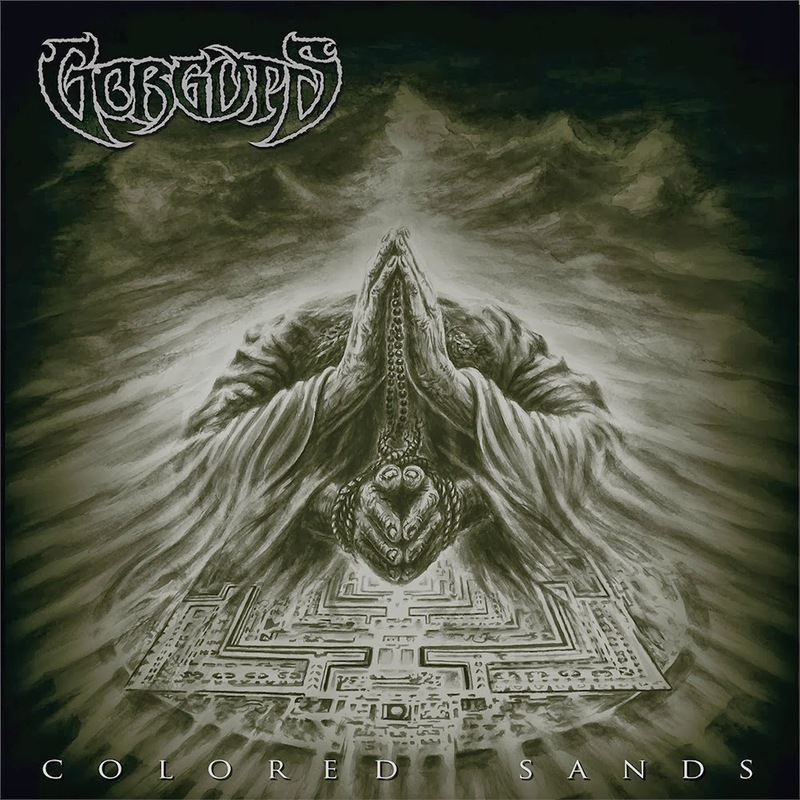 Supported by some seriously heavy talent, Colored Sands is easily one of the best albums from any genre for 2013. When you want to do tech-death right, having the right members behind you is key. To simply touch on these guys would be a disservice to everyone involved but for the sake of my earlier promises, I’ll keep it short. On drums, John Longstreth (Origin), guitar is Kevin Hufnagel (Dysrhythmia), and on bass is Colin Marston (Behold the Arctopus). All three of these guys are incredibly talented and Luc Lemay could not have picked a better group of musicians to assist his return to the limelight. 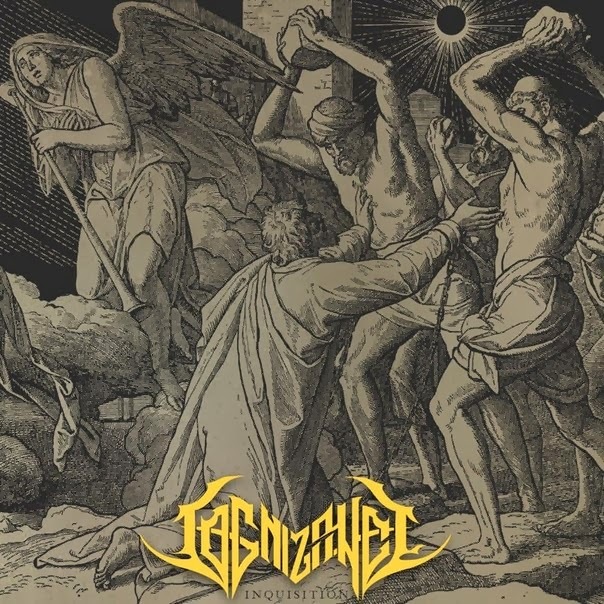 This entire record is a real marvel to listen to, going from this brutally tight and articulate riffs to these chaotic and dissonant overtones that give the album an incredibly dark and oppressive atmosphere. Mix in some absolutely gorgeous orchestral work and you have yourself a truly brilliant and powerful record. Yet again, Deeds of Flesh prove how much more technically proficient and ambitious they are than everyone else. Coming out with their 9th studio release, 5 years off their previous record, Of What’s to Come, Deeds of Flesh absolutely nailed it. 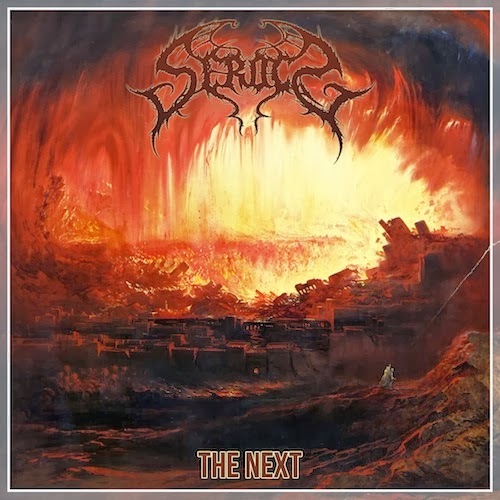 The entire record is set to this relentlessly scalding pace that could boil flesh and melt it clean off the bone. There are a few things bands can do that really win me over musically and one of them is as simple as bringing the bass up in the mix. Not only does they do that, but Ivan Munguia, you know, from Brain Drill (hey, the another one!) and Arkaik, brings the filth laden, gritty, and punchy lines that tie the entire package together in a seamless manner that appears all too effortless. The record as a whole is a very cohesive and fluid piece that makes a strong presence as a whole. Deeds of Flesh is a prime example of tech-death done right. Almost inhuman in their technical proficiency yet not obnoxious in how they manifest their abilities in their creations. We all know the bands that think sweeping the whole album makes them the most brutal and amazing thing the genre has ever seen and that just isn’t the case anymore. 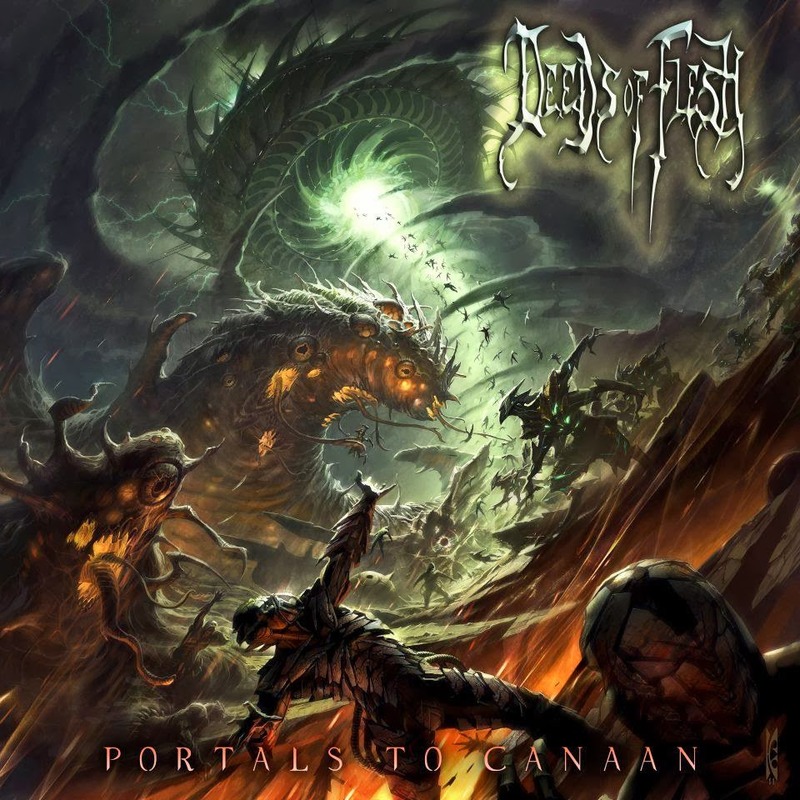 Deeds of Flesh raised the bar once again, maybe 2014 will bring some fresh talent that rival the titans of tech-death!